Call Christian Speakers 360 at 1.800.966.1380 if you would like to contact a Jackie Joyner-Kersee booking agent for a speaking engagement, personal appearance, church function or other faith-based event. Christian Speakers 360 is a Christian talent agency for booking athletes, celebrities, ministers and entertainment. 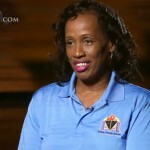 Jackie Joyner-Kersee speaks about Christian values. Many of our speakers are born again Christian evangelicals who honor Jesus Christ's message through communities, schools and ministries. For information on Jackie Joyner-Kersee's appearance fees, speaking costs and availability, contact Jackie Joyner-Kersee's booking agent for details. Jackie Joyner-Kersee ranks among the greatest athletes in the women's heptathlon & women's long jump. She won 3 gold, 1 silver & 2 bronze Olympic medals at the Olympics. Jackie has also stood out as a philanthropist through her generosity, kind spirit, and dedication to the development of young people, particularly in her hometown of East St. Louis, Illinois. She established the Jackie Joyner-Kersee Community Foundation in 1988. In 1997, the Foundation joined with the East St. Louis Youth Center Foundation to form the Jackie Joyner-Kersee Youth Center Foundation, of which Jackie serves as chairperson. The Foundation has partnered with Boys & Girls Clubs to create the Jackie Joyner-Kersee Boys & Girls Club. The Foundation and Boys & Girls Club serve the citizens of East St. Louis. In addition to athletic and philanthropic achievements, Jackie Joyner-Kersee has accomplishments in other areas. She is the author of A Kind of Grace , her autobiography that was published in 1997. She is a savvy businesswoman. She founded Heptathlon LLC, which manages her daily business and philanthropic activities worldwide. To book Jackie Joyner-Kersee for a speaking event or appearance, contact Christian Speakers 360. 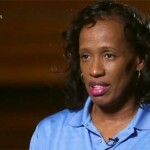 DISCLAIMER: Christian Speakers 360 does not claim to represent itself as the exclusive agent for Jackie Joyner-Kersee. Christian Speakers 360 is a booking agency that represents organizations seeking to hire Christian athletes and celebrities such as Jackie Joyner-Kersee for speaking engagements, personal appearances, product endorsements and corporate entertainment. Fees on this website are estimates and are intended only as a guideline. Exact fees are determined by a number of factors, including the location of event, the talent’s schedule, requested duties and supply and demand. Christian Speakers 360 makes no guarantees to the accuracy of information found on this website and does not warrant that any information or representations contained on this website will be accurate or free from errors. We are often asked how can I find out who is Jackie Joyner-Kersee's agent? To find Jackie Joyner-Kersee appearance fees and booking agent details, you can contact Jackie Joyner-Kersee's agent, representative or manager through Christian Speakers 360 for speaking fee costs and availability. Christian Speakers 360 can help your company choose the ideal Christian speaker or entertainer for your next event. To hire Jackie Joyner-Kersee for an appearance, speaking event or endorsement, contact Jackie Joyner-Kersee's booking agent or rep for more information.